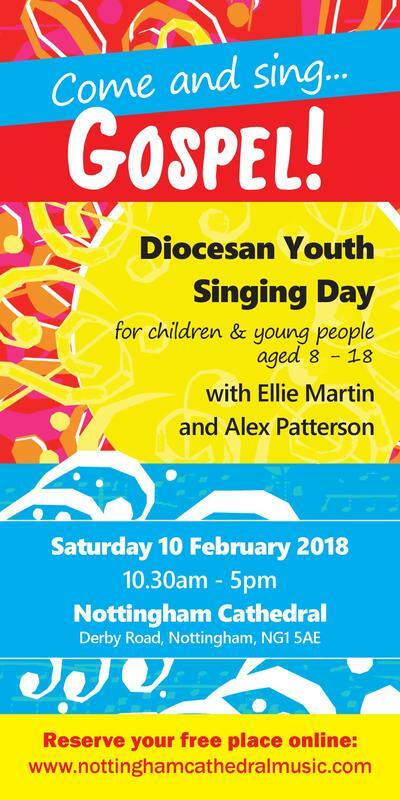 for children and young people aged 8 - 18 from across our Diocese to come together and sing for a day at the Cathedral. We will spend the day learning a variety of great gospel songs culminating in a free informal concert for family and friends at 4pm. This free workshop will be led by the fantastic Ellie Martin and Alex Patterson - their fun and enthusiastic approach to singing will make the day an unmissable singing experience! children should bring a packed lunch.